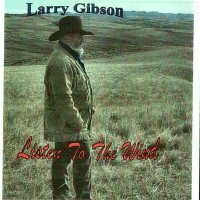 Larry is a third generation musician who lives in Townsend, Montana. 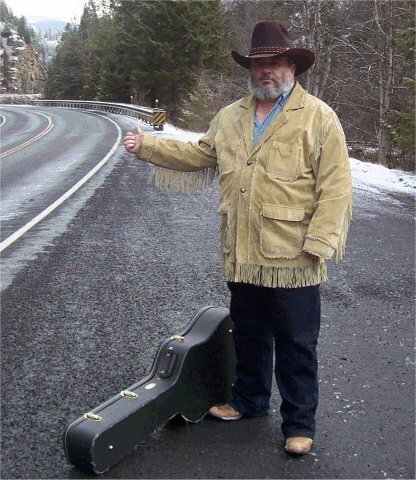 He performs at guest ranches, restaurants and shows all over Montana and Idaho and is a member of the Cowboy Poets of Idaho and the Christian Cowboy Balladeers. Like many Cowboy Entertainers, Larry has experience in ranching and farming. He works part-time on a ranch in the Townsend area and has fixed his share of fences, fled from angry cows, pulled calves and has ridden many miles on horseback. For good, authentic western entertainment, Larry is the one to call. As you can see, Larry has been "performing" for quite a while. 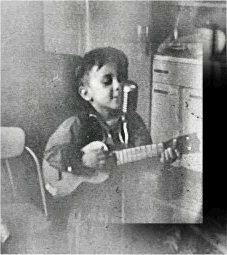 His father, Tom Gibson, often had Larry on-stage when he was very young. Larry cites his musical influences as heavily Marty Robbins and Jerry Jeff Walker. "I love those Ramblin', Gamblin' songs" says Larry and his "Just Another Town" and "Cash on the Light" reflect this while "X" is one of his forays into the Gunfighter Ballad style of the great Marty Robbins. 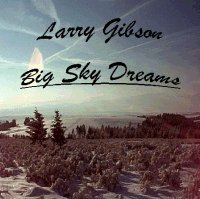 Eight of the twelve songs on his "Big Sky Dreams" CD are Larrys own compositions and two others are written by other members of the Cowboy Poets of Idaho, including one by Wayne Nelson. This new CD also features the lead guitar work of John Westbrook, who also recorded and produced both of Larry's CDs. Larry's song, "X", is about one of the most active of Montanas Vigilantes; X. Biedler, who went on to be a Territorial Marshal in Montana. "Regular Folks" is a poem written to honor the Heros of Flight 93. 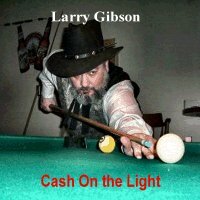 His newest CD, "Cash On the Light", just released in January of 2007, takes the place of his "In the Shadow of the Rockies" CD which has been discontinued. Again, John Westbrook adds his special lead guitar talents to, records and produces this CD. All the songs on this new CD are written by Larry Gibson. The title song is becoming very popular in the pool playing community. At the Cowboy Poets of Idaho annual meeting in April, 2006, Larry was elected to the Board of Directors for the Cowboy Poets of Idaho. At the St. Anthony, Idaho Gathering, Larry was awarded the Golden Note Award, CPI's top musician award. Highlighted songs are now in MP3 format and are full length. We'll do this on the "honor system". If you like or download any of these, please throw something in the tip bucket. Whether you just listen to these or download them for later, I'd appreciate a "tip" for the performance. 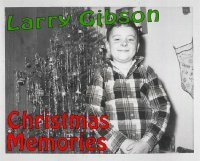 Here are some of the traditional Christmas songs I recorded a few years ago. Please enjoy and Merry Christmas!